It's pain and stiffness in your shoulder that happens slowly. It can worsen until your shoulder seems "frozen" in one position. Your doctor might call it "adhesive capsulitis." 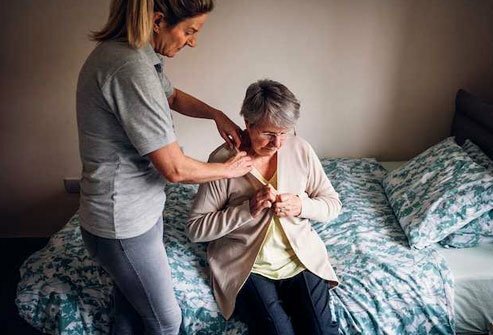 Although it may take as much as a few years to get completely better, it can improve long before then, especially if you do physical therapy to help with recovery. Doctors don't know exactly what causes it, though some things make you more likely to have it. For example, it can happen if you can't move your shoulder very well because of an injury or surgery, or if you have diabetes, which can worsen symptoms and make them last longer. Thyroid problems, Parkinson's disease, heart disease, and certain HIV medications also seem to raise your odds of getting frozen shoulder. 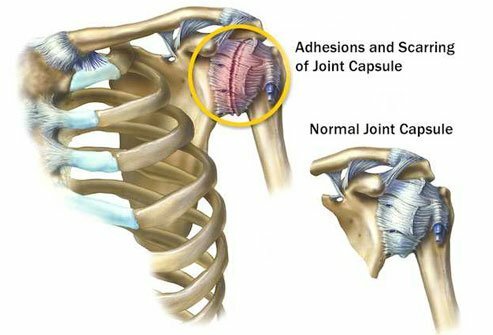 Strong connective tissue called the shoulder capsule surrounds the ball end of your upper arm bone and holds it to the socket. Frozen shoulder causes this tissue to get thicker in parts (adhesions) and inflamed. This may limit the "synovial" fluid that normally lubricates the area and prevents rubbing. The result is pain and stiffness. There are three stages. 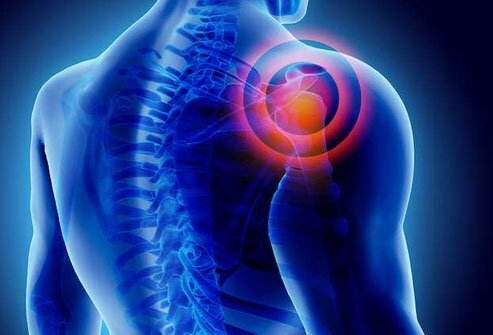 Over a period of 2 to 9 months, the shoulder capsule gets more and more inflamed. This ramps up pain and stiffness, and starts to limit your range of motion (how well you can use the joint). And these symptoms often get worse at night. As you might have guessed, this is when your shoulder is stiffest and hardest to move. It usually lasts somewhere between 4 months and a year. Pain often starts to improve in this stage. But your range of motion may be so limited that you find it hard to do basic things like eat, dress, and go to the bathroom. 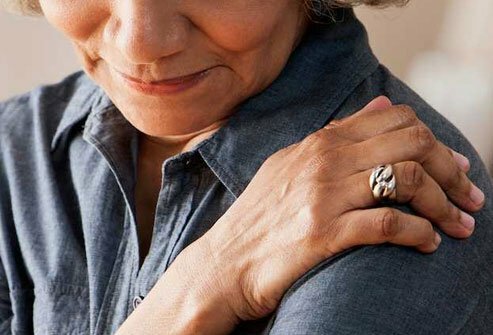 Your shoulder pain should continue to ease during this stage, and now you start to regain some of your range of motion, too. It happens slowly, taking 6 months to 2 years. In some cases, you may get back all or almost all of your strength and mobility. 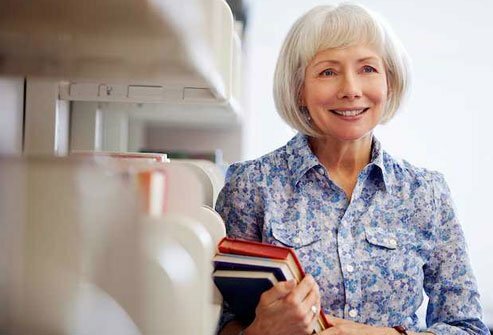 It's most common if you're in your 50s or 60s, and it's rare for anyone under 40. Women get it more than men. And if you get frozen shoulder on one side of your body, you're up to 30% more likely to get it on the other side. Your doctor will ask you about your symptoms, injuries, and medical history. Then she'll check your shoulder. She'll move it herself to see where the pain and stiffness start. This is your passive range of motion. Then she'll ask you to move it yourself. That's your active range of motion. At the limit, it may feel like your arm is stuck. If you have frozen shoulder, your passive and active range of motion will be less than normal. 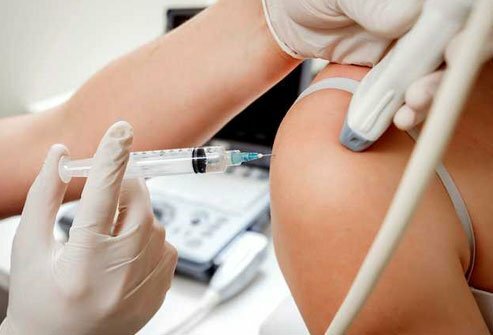 An "injection test" may help narrow down the cause of your symptoms. Your doctor gives you a shot in your arm that dulls the pain. With most shoulder problems, this gives you a bigger range of motion, but it won't change it much if you have frozen shoulder. Doctors typically only use imaging tests like X-rays, ultrasounds, and MRIs to rule out other conditions. 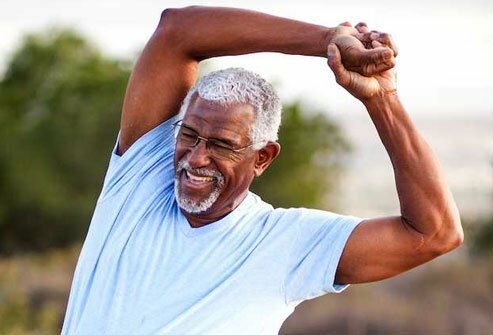 Once your frozen shoulder pain starts to ease up, your doctor might suggest arm exercises. A physical therapist can give you moves to do as homework. Take it easy at first. If you "push through the pain," you could make things worse. 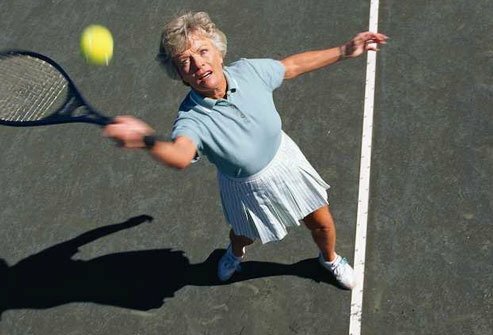 You'll likely start with range-of-motion exercises for a couple of months. After you feel better, you can safely begin to build strength. 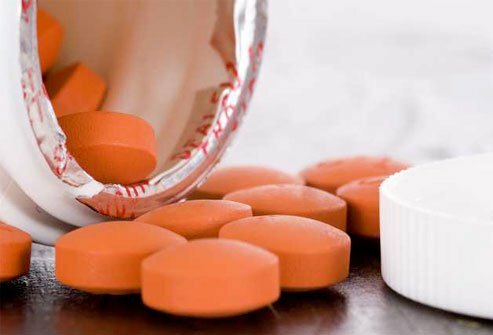 NSAIDs (non-steroidal anti-inflammatory drugs) like aspirin, ibuprofen, and naproxen may curb pain and swelling. 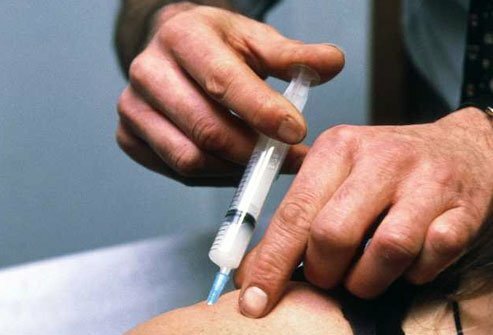 More powerful drugs called steroids are sometimes injected directly into the joint. But it can be tricky to get them into just the right spot, and even these will only provide temporary relief of your symptoms. Your doctor might suggest this method if physical therapy and medication haven't helped. She'll use pictures of the inside of your body to guide a shot of fluid into your shoulder joint. The goal is to stretch out the joint capsule and give you better range of motion. Your doctor may suggest this, usually in the "frozen" stage, if nothing else works. There are two methods, sometimes used together. The first is manipulation while you're "asleep" from general anesthesia. The surgeon moves the joint until it stretches or even tears the tissue. 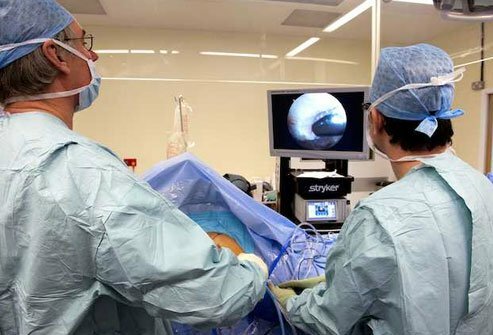 The second method, called arthroscopy, cuts the affected tissue directly. Your surgeon works through small cuts in your skin, using special tools. 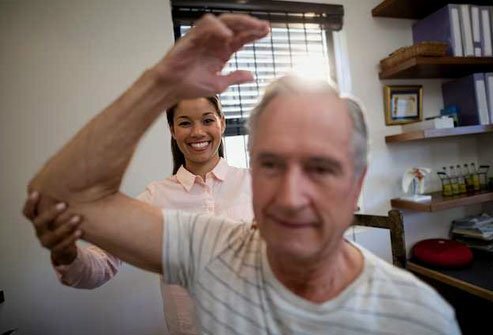 Frozen shoulder gets better for a lot of people within a year if they do physical therapy and use pain medicines and steroid shots if needed. 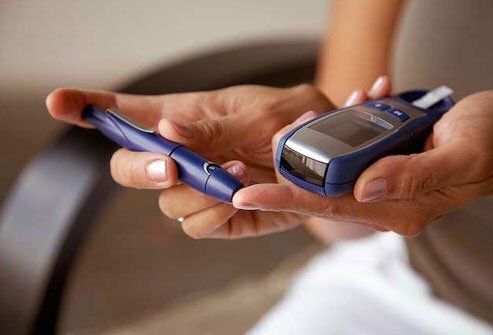 Even without those methods, most people get better within a couple of years, though if you have diabetes, it may be harder to recover. Surgery works pretty well as long as you stick with your physical therapy afterward to rebuild and keep up your strength and mobility. American Academy of Orthopaedic Surgeons: "Frozen Shoulder." UpToDate: "Patient education: Frozen shoulder (Beyond the Basics)."